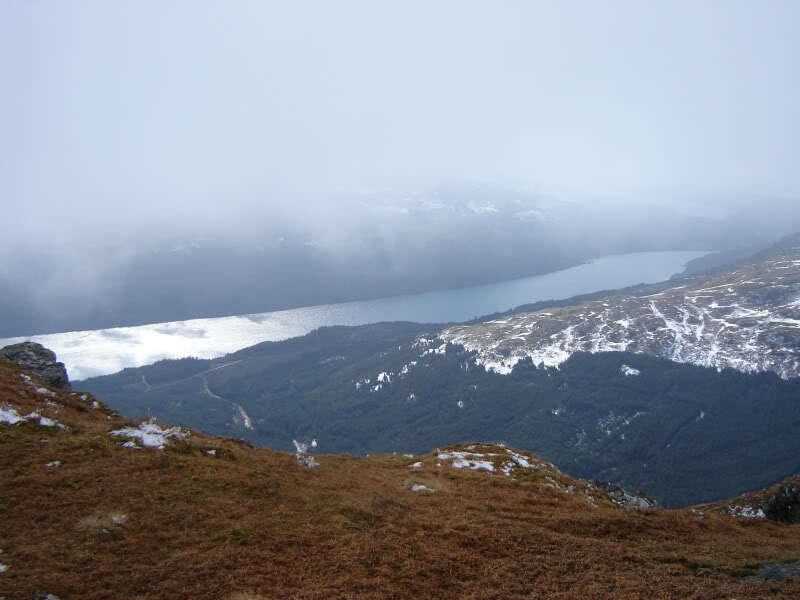 After turning off at Artgarten, and driving 3km along the road to Coilessan, I parked at the Coilessan Events Car Park where there is room for at least 12 cars. 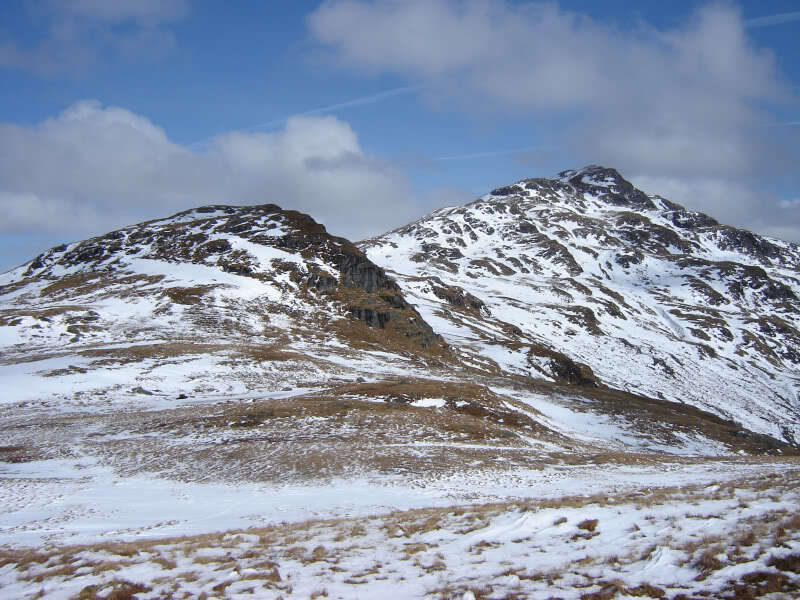 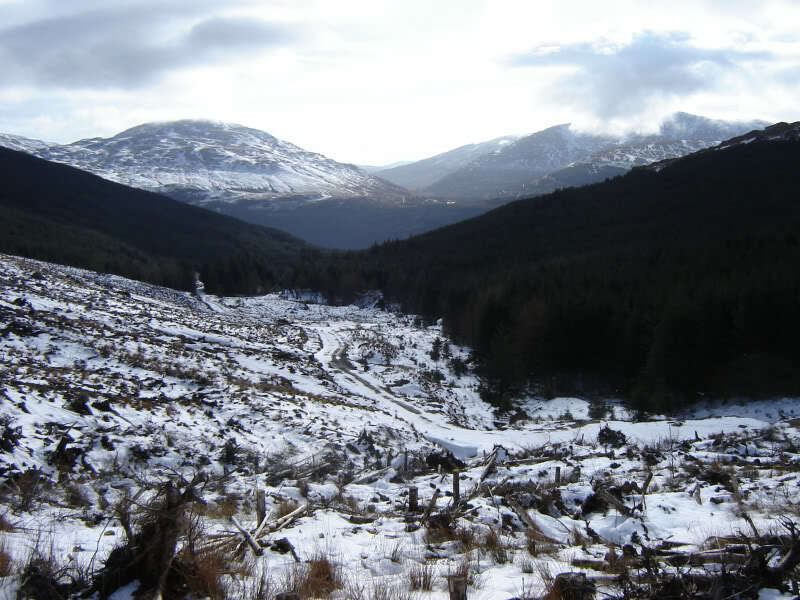 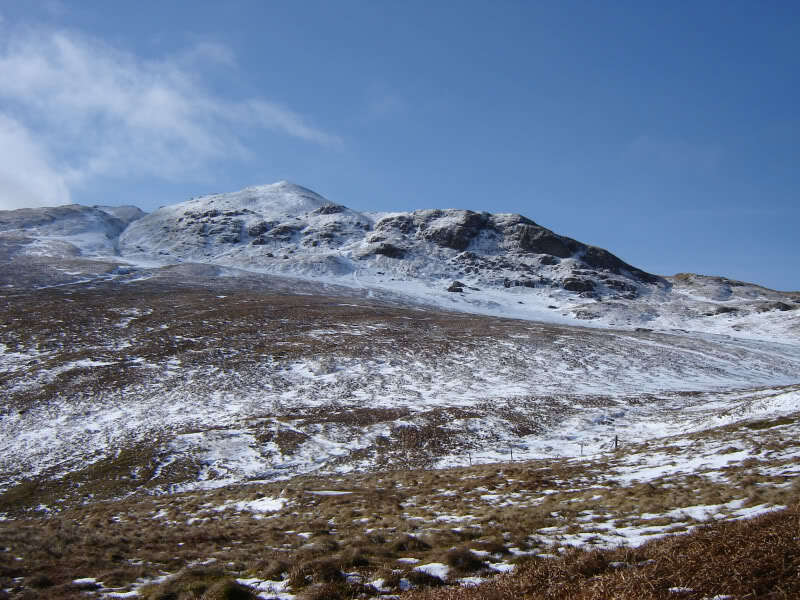 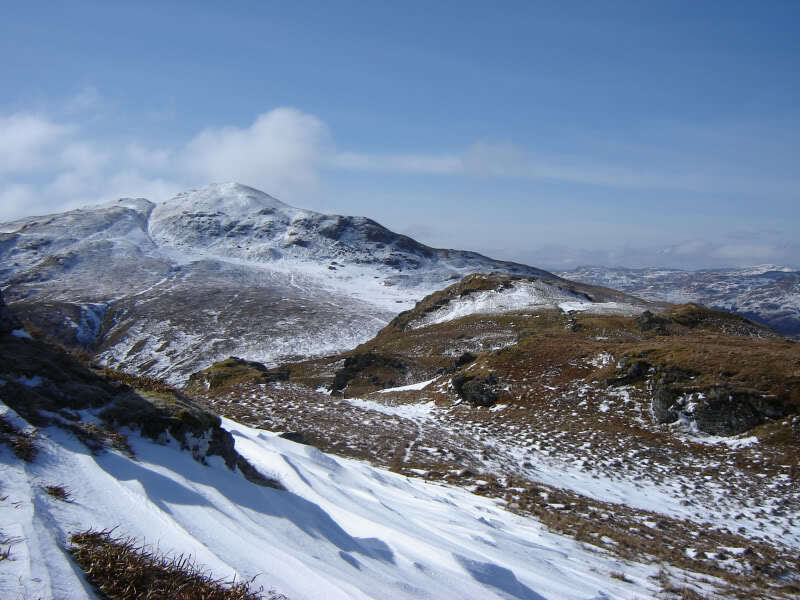 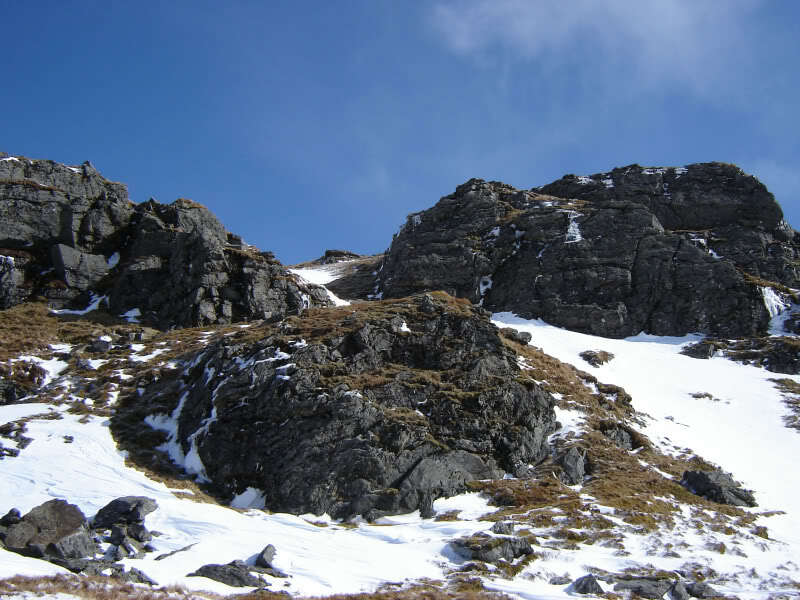 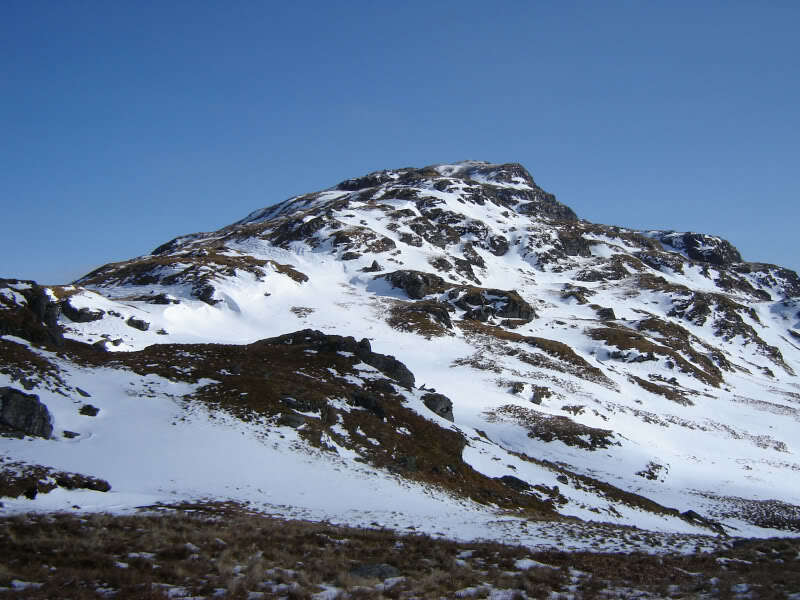 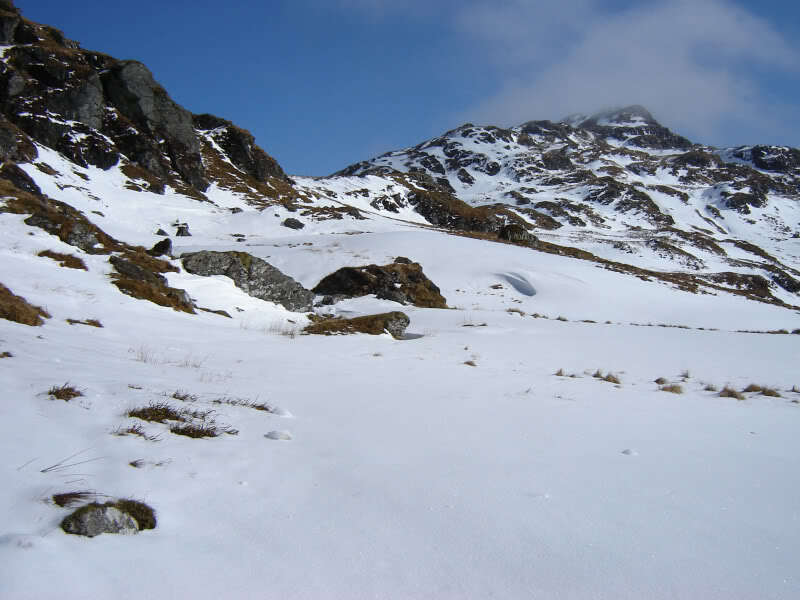 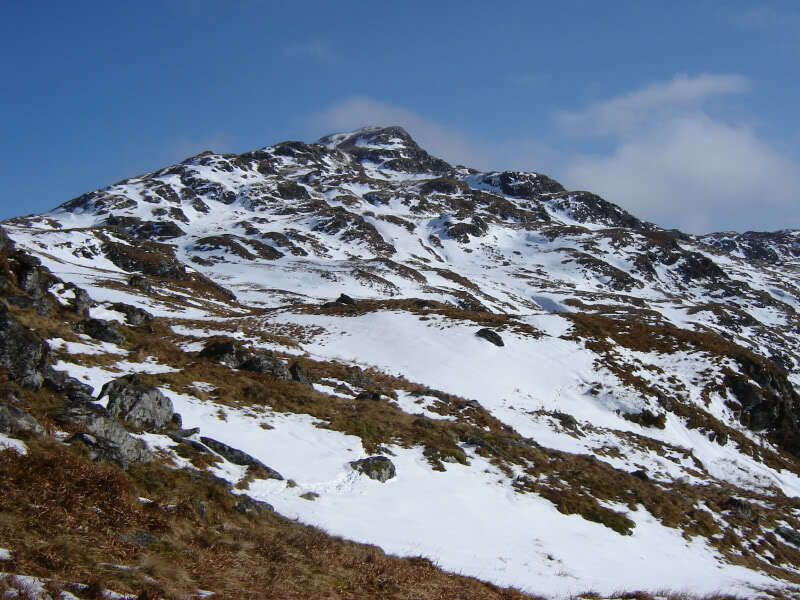 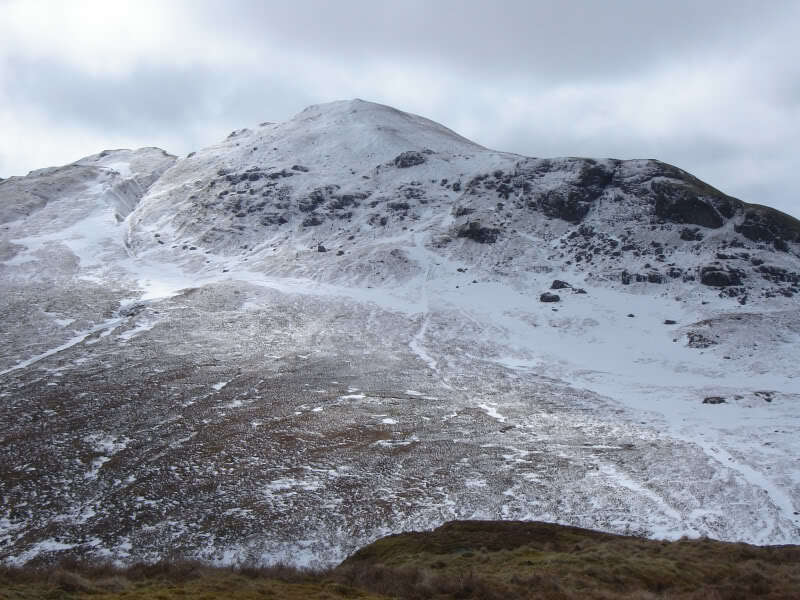 An ascent from Coilessan would allow me to ascend the Graham, Cnoc Coinnich, as well as the Brack. 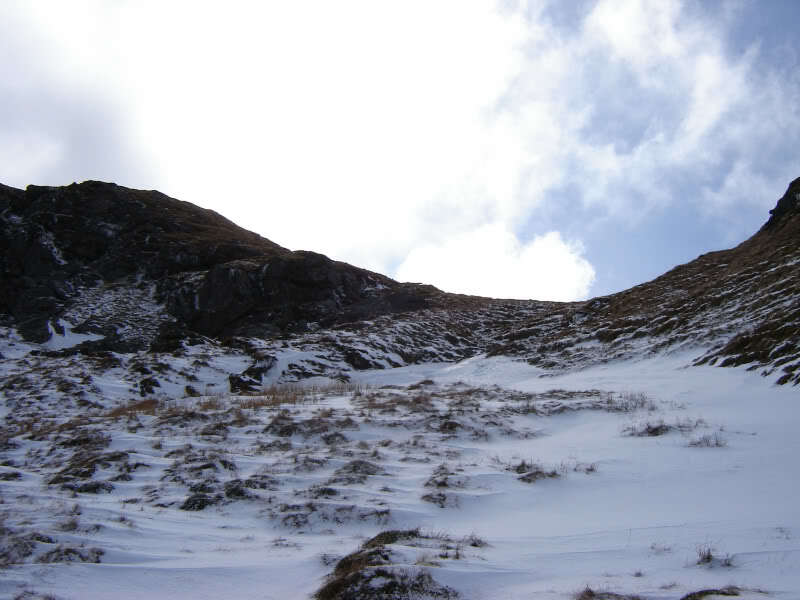 A hundred metres or so from the car park is the start of the road up Coilessan glen. 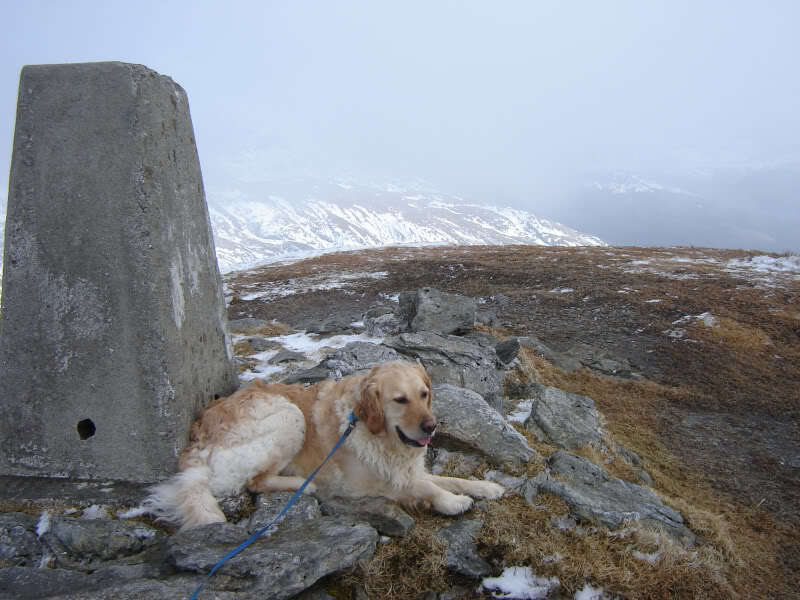 Vehicles are not permitted beyond the car park. 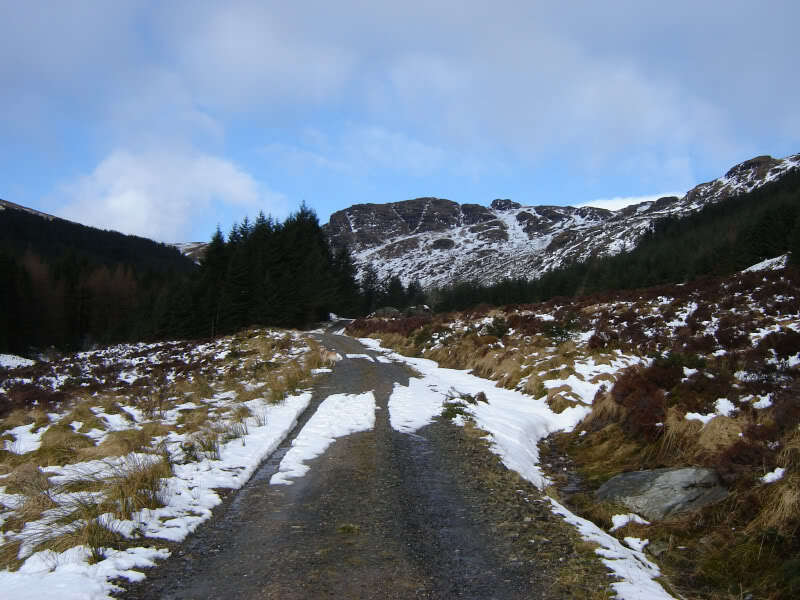 I continued as far as the end of the road up Coilessan glen. 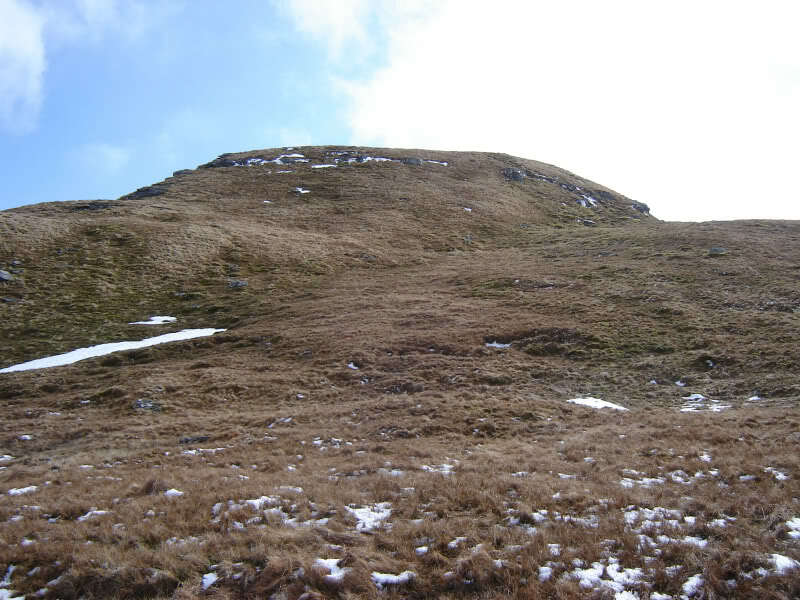 In hindsight, it would have been easier to leave the track a few hundred metres before the road-end at a junction with a sign marked, “Lochgoilhead hill”. 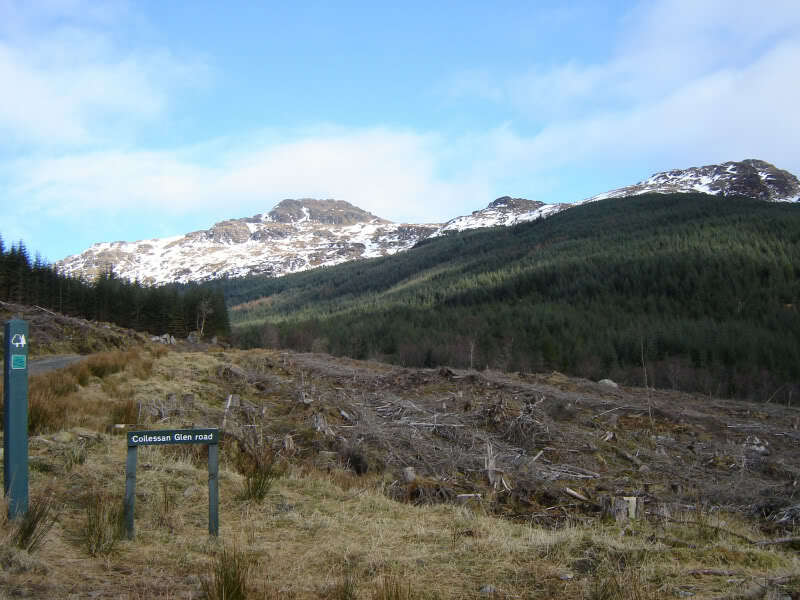 If going to the road-end you will need to cross an area of felled trees and climb over a fence. 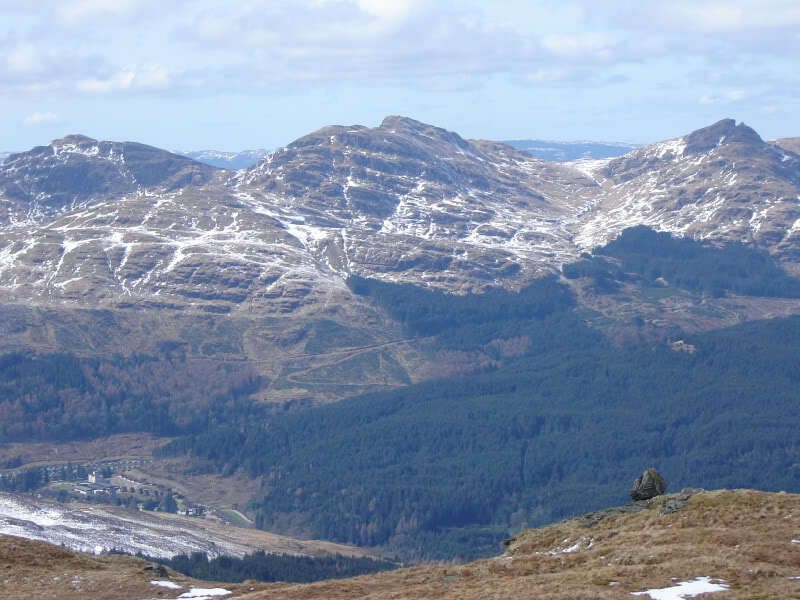 After setting eyes on Cnoc Coinnich from the glen, an ascent was a must. 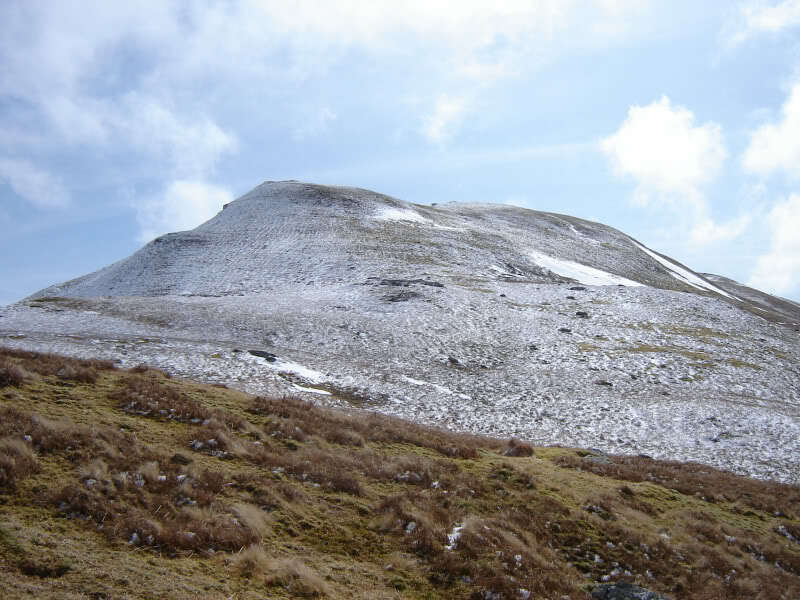 I then ascended the Brack via its South-West ridge. 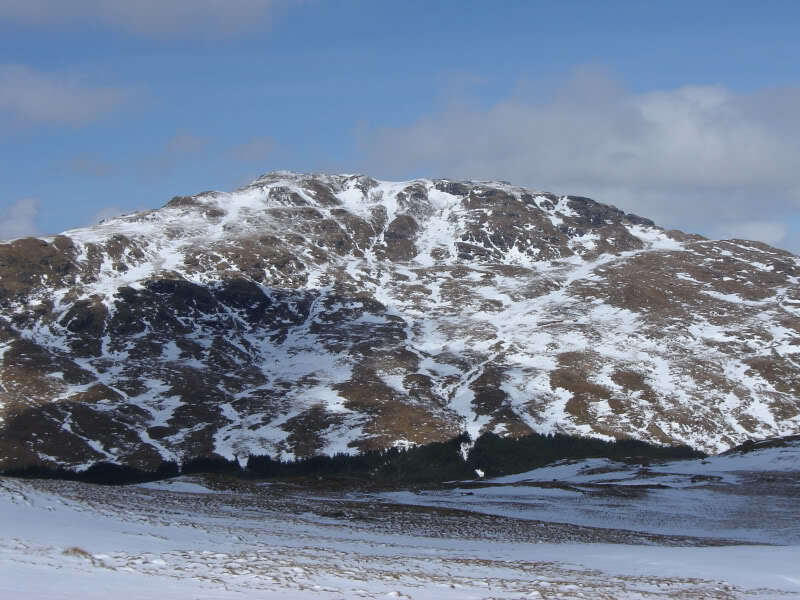 From a distance, I wasn't sure how I would get past the line of crags defending the summit of the Brack. 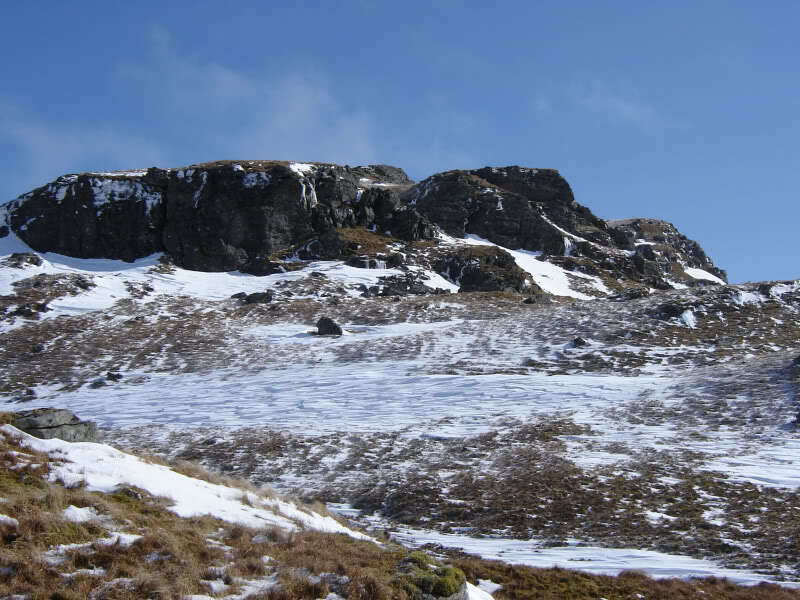 As I got closer to the crags, I could see an obvious easy route through them. 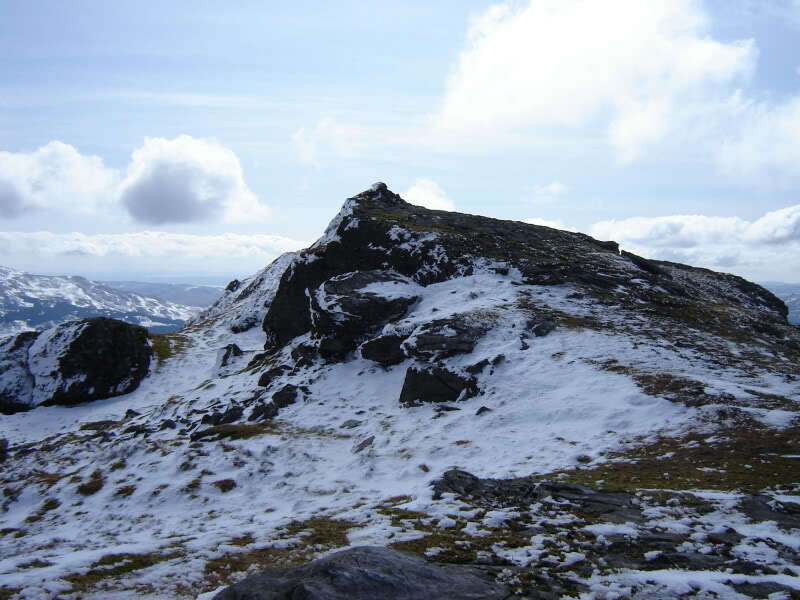 I reached the summit two hours after setting off from the car park. 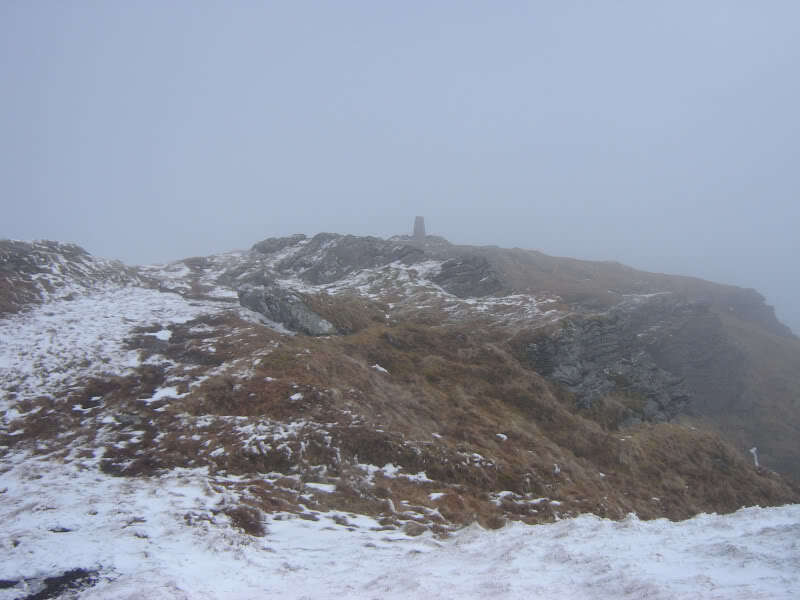 Unfortunately, I arrived at the summit at the same time as some low cloud. 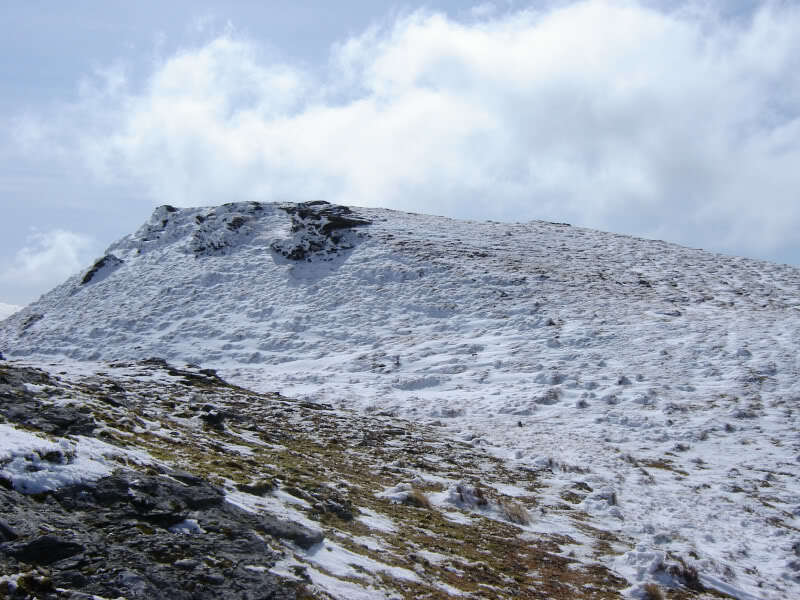 From the summit of the Brack, I descended via the same route but opted to stick to the ridge, ascending the 579m top instead of skirting round it. 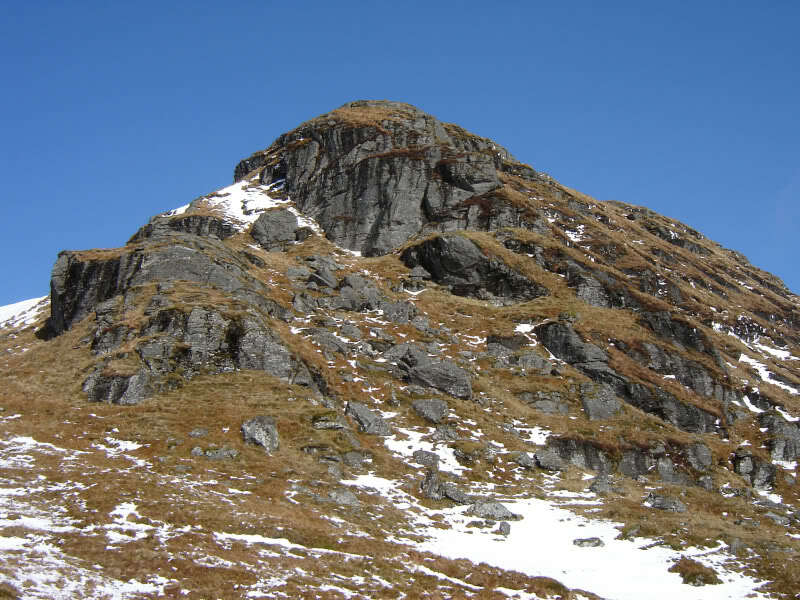 The ascent of Cnoc Coinnich was much simpler than it looked from a distance – an easy walk along broad, but steep, grassy ridges. 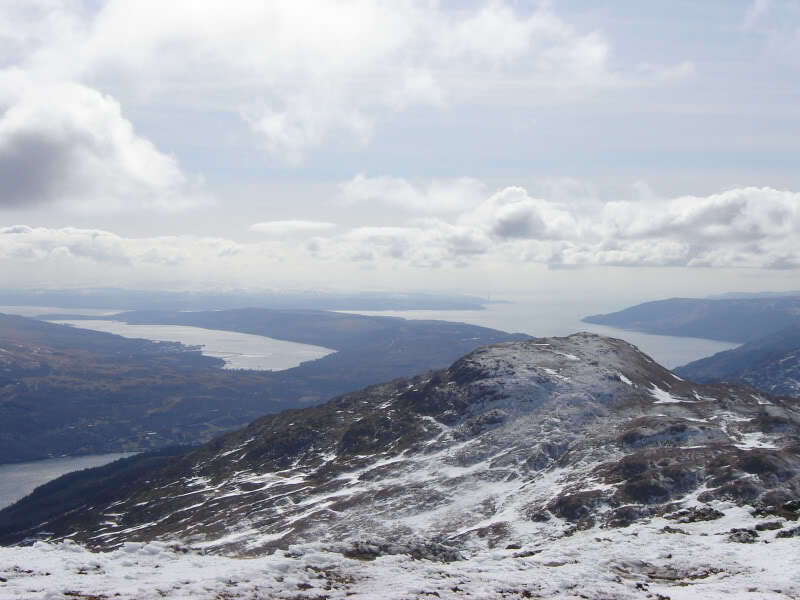 After reaching the summit of Cnoc Coinnich, I walked a wee bit further along the ridge to gain views of Loch Long and Gare Loch.